Mr. Smith has been practicing law in Baton Rouge, Louisiana for almost forty-two (42) years. Labor and employment law is the principal focus of his practice. He is the President and the founder of the Baton Rouge affiliate of the National Employment Lawyers Association, President of the Louisiana Employment Lawyers Association, and Chair of the Labor and Employment Section of the Louisiana Association for Justice. 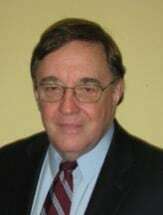 As a seasoned and experienced trial and appellate attorney, he is licensed and practices in all Louisiana state and federal courts, as well as in the U.S. Fifth Circuit and U.S. Supreme Court.